Now this is a title after my on heart! You know that "play matters" is my favorite mantra. I tweet it, talk about it, interview about it, research it, love it! It dawned on me that I've never just simply stated WHY it matters. So here goes! Play matters in many wholesome ways. It's growth magic. It boosts confidence, sparks creativity, fortifies physical health, fosters compassion, and builds emotional fortitude. While it helps kids grow, it also helps them cope. Stress gets to all of us, even children. Much like how we need release after a stressful situation, children need the same. Whether it's playing inside or outside, on the playground, or in an enchanted forest, kids need to play! It creates a safe place to express emotions and work through imaginary scenarios. I'm getting ahead of myself here, so let's launch into this list! 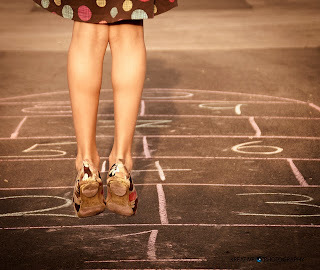 Enjoyment – Age has no sway over the power of play! Kids need play to diffuse tension, learn, and just have fun! Adults need play to detoxify from the rigors of the grind. Fun is an essential ingredient to a happy, wholesome life. Relaxation – Frankly, stress is toxic. It curtails healthy development and limits brain power. Children deserve to play. During play, they conjure fantasies that help them cope and understand. Confidence – Play preps the soil for confidence to bloom. Kids learn, take action, and explore. This helps them realize their own abilities and set goals. Play invites them to discover inidividuality while urging them into the world. Teamwork – Play often unites kids towards a common goal! This jumpstarts the development of communication skills, empathy, and trust. Even when kids sit side by side but play on their own (parallel play), they build innate insight into nonverbal cues. Exercise – Physical activity is a necessity. With child obesity rising, we need to encourage of kids to detach from devices and get moving. Play makes this happen in countless fun ways! Emotional Growth – An exploratory lifestyle helps build emotional structure for kids. They'll delve into what makes them happy, what makes them sad, and what they're passionate about. They gain empathy through interaction with peers and explore new perspectives through pretend play. Creativity – Life is a canvas, and play invites us to experiment with mediums. Play invites children to express themselves as they pretend, create, and imagine. Imagination – Imagination is a garden of blessings. Active play tills the soil, sensory play plants the seeds, and pretend play opens the blossoms! Group Learning Experiences - At school, kids are expected to work in groups. Play strengthens communication skills and imbues a sense of respect for others and oneself. Problem Solving – Einstein once said that "play is the highest form of research." Through play, kids experiment with cause and effect, surmount obstacles, and strategize with peers. A brain at play is both energized and at ease; this combination ventures beyond boundaries and opens us up to abstract concepts. Learn from Failure – Failure may taste bitter, but it's crucial for growth. Play provides a safe "sandbox" for kids to test theories, push limits, and bounce back from falls. This resilience is the foundation for success in life. Release of Energy – Cooped up kids struggle to learn. After all, we are built for movement and exploration! The benefits of play on cognitive function are undeniable, so let's save recess! Practice Makes Perfect – Just like artists focus intently on their craft, play inspires us to passionately chase our goals. Play gives our dreams buoyancy! Self-Esteem – Play helps kids grow into themselves and find hobbies they can be proud of. It preps the "soil" for self-esteem by mixing ingreidents like learning, action, freedom, and reflection. Reduce Anxiety – This is true for both kids and adults! Play gives us a buffer from stress. We can catch our breath, and reflect. We can think more clearly and formulate solutions. Self-Reliance – Solitary play encourages a child to think independently, develop an inner voice, and get in tune with healthy emotions. Independence is a cornerstone of happiness! Motor Skills - For kids, playtime is synonymous with bouncing, throwing, exploring, and dancing. Movement is fundamental. Play builds and refines motor skills. 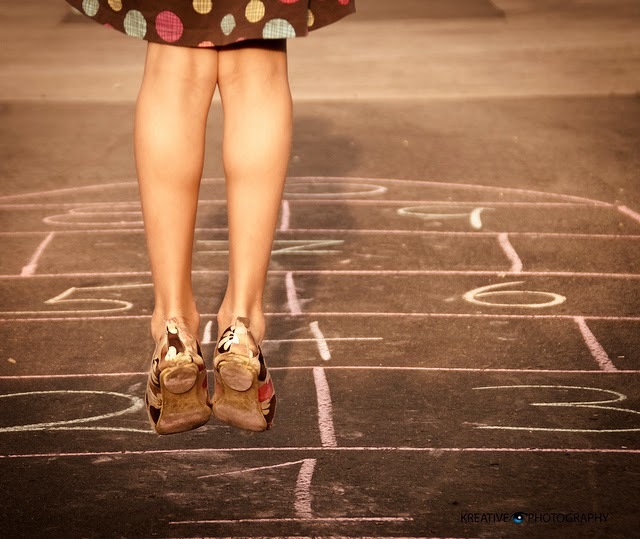 Better Grades - There's a positive correlation between cognitive development and play. All animals play, and all brains are activated by play. An active brain, eager imagination, and ample self-motivation are all key factors to good grades. Matisse Said So! - "Creative people are curious, flexible, persistent, and independent with a tremendous spirit of adventure and a love of play." Have you seen his paintings? He was onto something! Sharing – Stuart Brown, MD stated that "play fosters belonging and encourages cooperation." Play creates a platform for engagement with peers. They will learn how to express their wants and respect each other's wants. Why does play matter to you and your family? Please let us know in the comments section! I'd be absolutely thrilled to hear your reasons.